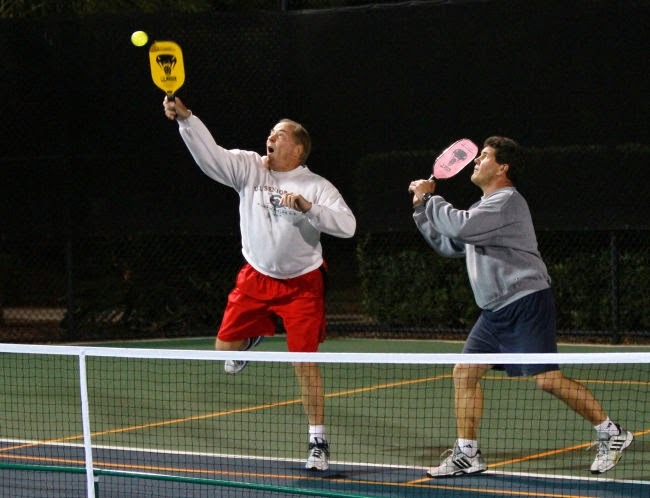 Those looking for a way to stay fit and have fun in the new year may want to try their hand at pickleball, a paddle sport that combines elements of tennis, badminton and Ping-Pong. To get you started, the city of Clearwater is offering free instruction Wednesdays from 6 to 8 p.m. and Saturdays 10 to noon during January at the McMullen Tennis Complex. Never heard of pickleball? Well, here's the juice. First off, no pickles are harmed in the sport. It is thought by some that the game was named after Pickles, a dog that belonged to a former U.S. Rep. Joel Pritchard of Washington state who is one of the co-inventors of pickleball. Apparently the cocker spaniel would chase the balls and hide them in the bushes.